This month, nostalgia’s really not what it used to be; it’s been tweaked. Two huge Hollywood movies are rolling out with lavish effects and female stars (Scarlett Johansson, Emma Watson). Both are remakes of 1990s films that gained iconic stature. In particular, the trailers for both new films feature numerous shot-for-shot recreations of moments from the originals. YouTubers have been busy making side-by-side comparisons – try this and this, er, side by side. The twist, of course, is they’re both live-action remakes of animated films: Ghost in the Shell and Beauty and the Beast. It’s a fascinating coincidence. The precedents go back decades; remember John Goodman and Rick Moranis in a live-action Flintstones from 1994? But it’s still eye-opening to see the Ghost and Beauty trailers being so emphatic about the films’ animated origins. We’ve seldom seen such shot-by-shot fidelity since Gus Van Sant’s Psycho (NSFW mashup). No doubt the actual films will have far more differences from the originals. I’d bet against the new Ghost having an arty three-minute sequence of Scarlett Johansson’s Major wordlessly wandering the canals of Hong Kong. Though it’d be great if she did…. However, we’re focusing on the trailers. They seem to play to a particular fascination, or maybe gimmick would be the right word. Namely – see the scenes you grew up with in animation transformed into live-action! It’s a self-aware exercise in media nostalgia for media. In that way, it’s like La La Land, Wreck-It Ralph and much of the oeuvre of Quentin Tarantino. It’s also enabled by the current state of CG technology, so that Scarlett Johansson can dive off a building and Emma Watson can talk with a teapot. 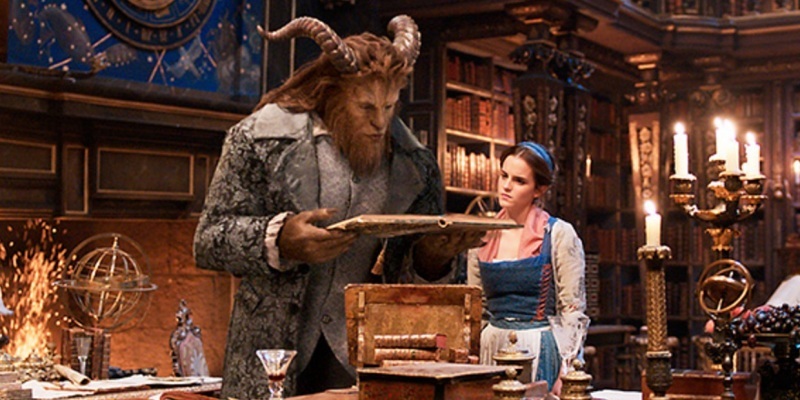 An irony of these “live-action” remakes is they still make very heavy use of animation. They may also reflect a Western conception of animation as something very different from live-action, as something even opposed to it. Even after decades of fans insisting animation isn’t a genre, there’s still a popular idea of, for example, what constitutes a “cartoon character” – Mickey Mouse, Bugs Bunny, Homer Simpson. The contrast is played up in films like Roger Rabbit, or in a purposefully upsetting film about child abuse produced by the NSPCC. It was also played up fascinatingly in Tower, an acclaimed documentary that some readers may have caught at cinemas recently (trailer). Tower is a mixed-media film about the 1966 sniper tragedy at the University of Texas, when gunman Charles Whitman fired on students from a university tower. Some of the most powerful moments in the film are when animated “characters” – who, admittedly, look far more “realistic” than Bugs Bunny – are suddenly replaced by the “live-action” people who lived through the events, puncturing the animation with reality. Anyone who’s seen a previous documentary, Israel’s Waltz with Bashir (trailer), will remember how it used a comparable device at the end, to horrific effect. But how about Japan? Do Japanese people see animation as different from live-action? I tend to suspect it’s not quite the same, though it’s impossible to measure scientifically. On one hand, many of the most famous anime characters are “cartoon” characters, as much as Bugs and Mickey. Think of Astro Boy, Doraemon, Crayon Shin-chan, Anpanman, Pikachu… and you could add Luffy, and many more Shonen Jump stars, from Goku to Naruto. Is Luffy really any less cartoony than, say, Fred Flintstone or Scooby Doo? Characters like these shape public perceptions of animation in Japan… but perhaps they don’t define them like Bugs and Mickey in America. Funnily enough, these “cartoon” properties have been translated into live-action in Japan, but in ways that would seem surprising in the West. Doraemon, for example, appeared in a series of live-action Japanese commercials a few years ago – not as a CG blue cat but as France’s Jean Reno (Leon). 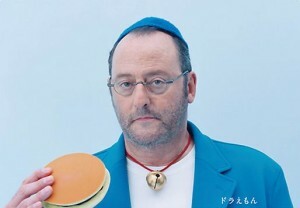 He wore a blue cap and suit but he was still very much Jean Reno. Again, Miss Hokusai director Keiichi Hara once made an anime Crayon Shin-Chan film, called The Battle of the Warring States (2002), in which the horrid toddler travels to samurai times. This was remade as a live-action film by Takashi Yamazaki, called Ballad: A Song Without Love (2009). However, Yamazaki’s remake cut out Crayon Shin-chan from the film and just kept the time-travel plot (more details). Can you imagine a Hollywood cartoon film being remade in live-action without its cartoon star? Maybe that’s because Japanese animation isn’t so closely identified with cartoon characters as Western animation is. Away from Doraemon, Pikachu et al, there’s a decades-long tradition of titles which feel as if they happened to be animated, rather than being inherently animated works. This tradition takes in everything from Rose of Versailles to Gundam, to Nausicaa to Maison Ikkoku, to new films like Your Name and A Silent Voice. It may not have thrown up characters as famous as Doraemon or Pikachu, but it may have eroded the perceived contrast between animation and live-action. In Japan, I’d suggest, animation and live-action have a less oppositional relationship, more a parallel one. Films can be developed in live-action, then switched to animation – that’s exactly how the horror film Perfect Blue by Satoshi Kon originated. Manga can be adapted side-by-side in animation and live-action, as happened with Death Note, Bunny Drop, Parasyte and Attack on Titan. As of writing, it’s happening again with the acid teen drama Scum’s Wish, which Fuji TV is screening in both live-action and anime versions. Of course, there are live-action remakes of anime in Japan, in that the live-action film comes out long after the anime, like one of this year’s big titles, Fullmetal Alchemist, directed by Fumihiko Sori. But even that example suggests how anime and live-action operate in parallel. 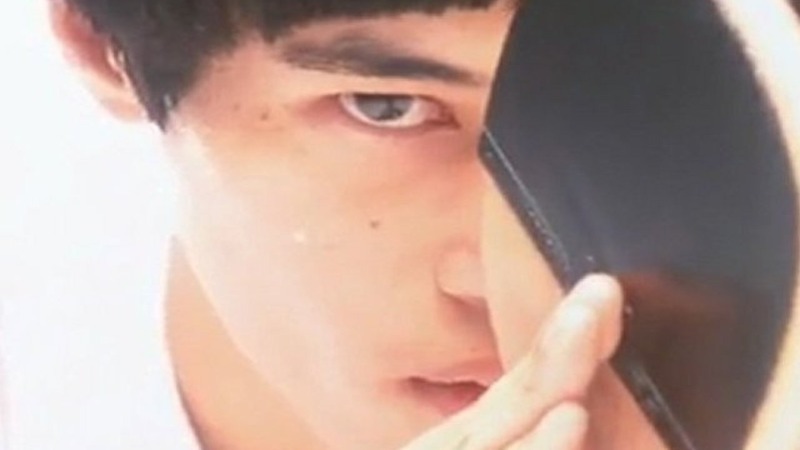 One of Sori’s earlier films was a live-action version of Taiyo Matsumoto’s manga, Ping Pong. Twelve years after Sori’s film, it was splendidly remade as Ping Pong the Animation by Masaaki Yuasa – the exact reverse of what’s happening now with Fullmetal Alchemist. But these may be special cases. Grave of the Fireflies is set apart by its real-world subject-matter, its connections to historic events still commemorated in Japan. (See our obituary for Akiyuki Nosaka, the author of Fireflies.) As for Patlabor, both the animated and live-action versions come from the same director, Oshii, who has an unusual propensity for crossing between live-action and animation. I would be more surprised to see, for example, a live-action remake of Your Name or Totoro in Japan, even if Shinkai or Ghibli gave their permission. Yes, there was a live-action Kiki’s Delivery Service, but that was able to draw on Eiko Kadono’s source children’s books, which Ghibli had adapted only loosely. I think there would be less of a “novelty” appeal to seeing Totoro or Your Name retold in live-action, given they weren’t so unlike live-action in the first place. However, I could see Your Name being transposed into an American-set live-action Hollywood film by someone like Spielberg. Its trailer might even remake the beginning of the Japanese trailer in live-action… though it’d probably throw out the rest. Animation directors were inspired by many foreign live-action films. At first, they wanted to make a live-action. But it’s not easy in Japan for some reasons (budget, cast, poor production). So they chose animation to do what they want. This is another factor for this article. Hello, I wrote this article – thank you very much for your interesting comment! You mentioned that some animation creators have said ‘animation is foreign films by Japanese.’ If possible, could you give any links to interviews where creators have said that kind of thing (either in English or Japanese)? I’d be very grateful for the information. To begin with, the originator of the phrase is Hiroyuki Hoshiyama (星山博之). Kamiyama cited his words. Hoshiyama is a scriptwriter. Notable works include MOBILE SUIT GUNDAM. I don’t know other interview about this on the website. If I detected some links about this, I would reply again. Thank you very much for the information! Much obliged. This is Kenji Kamiyama interview when “Ghost in the Shell S.A.C. Solid State Society 3D” was released. Second paragraph’s headline of this link is just this one-liner. And I think you’ve understood exactly my intention on aforementioned comment. I wish this would be helpful to your column someday.